While reversing the verdict of Karnataka High Court, a Supreme Court Bench comprising of Justice J. Chelameswar and Justice P.C. Ghose has held that the printed date on the cheque, in the absence of any other evidence, cannot be conclusive of the fact of issue of cheque in a particular year. The Court was hearing an appeal filed by against a 2011 judgment passed by the Karnataka High Court, by which the High Court set aside the judgments of two lower Courts and acquitted the respondents. A complaint was filed against the respondents under Section 138 of the Negotiable Instruments Act, 1881. He was subsequently found guilty by the Magistrate. Appeal before the Fast Track Court, Bangalore was dismissed. The defendant then preferred a revision of the Fast Track Court's order before the High Court. The defendant and complainant had a business relationship where under the defendant provided movies to the complainant for screening at his Theatre. In May 2006, the defendant sought a loan of Rupees Five Lakhs from the complainant for supporting the making of a Tamil movie “Pokari”. The said loan was advanced by the complainant on 20-05-2006. The defendant had promised to repay the loan on release of the said movie. However, the defendant failed to repay the loan. On repeated requests made by the complainant, the defendant gave a cheque for Rs.5 lakhs. However, the cheque was returned on 18-01-2007 by the Bank with the remarks: “Stop Payment”. The defendant claimed that Vijayakumari Films had differences with the complainant in the year 2006, over release of the film “Pokari”. The defendant's husband had denied releasing the film in the complainant's theatre on the ground that at the time of the release of the said movie, another Kannada movie was being shown there and it could have been a sensitive matter. The defendant hence asserted that the alleged cheque was given to the complainant in the year 1999 as security against loan of Rs.5 lakhs taken then. After the defendant paid the loan, the complainant did not return the said cheque saying that he had misplaced it. The defendant alleges that the complainant, due to ill will in release of the movie “Pokari”, used this old cheque to take revenge against the defendant firm. The Fast Track Judge has found that there was no evidence to show that the cheque was issued in 1999. Further the Court relied on the presumption in favor of the complainant under Section 139 and held that the defendant had failed to rebut that presumption. The High Court in appeal reversed the concurrent finding of the learned Magistrate and learned Sessions Judge. The High Court found that the cheque was actually from the cheque book that was issued prior to 2000 as the cheque leaf itself mentioned the date in printed ink as “__/__/199__”. 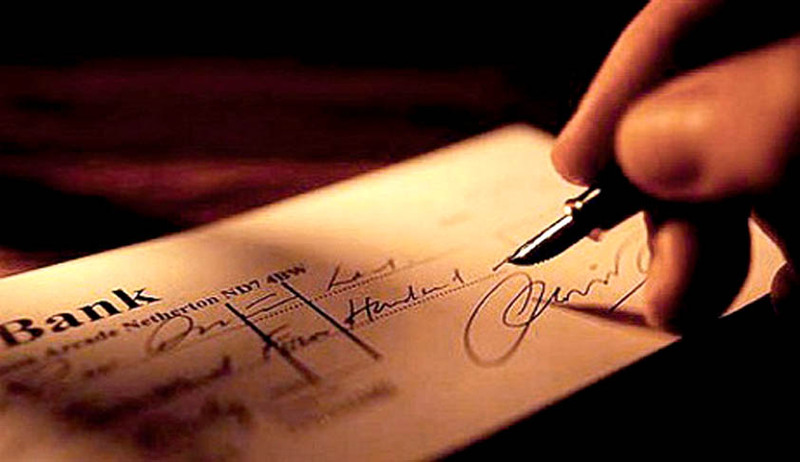 The cheque had not been disputed, nor the signature of the defendant on it. Hence, the Supreme Court agreed that the presumption under Section 139 would operate and that the burden was on the accused to disprove the cheque or the existence of any legally recoverable debt or liability. The Bench then considered the story of the defendants and came to the conclusion that their story was unworthy of credit, apart from being unsupported by evidence.